Dr. Jorja Pound Turnipseed, age 78, passed away at her residence on Wednesday, November 15, 2017. She was born July 28, 1939 to Mae "Bill" Sneed Pound and George Thompson Pound. 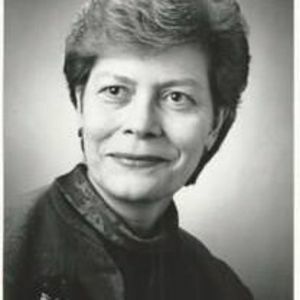 She was a Professor Emertia at Mississippi State University, where she taught Music Education. Jorja was an advocate for people with disabilities in Mississippi, having served as the Executive Director of Very Special Arts of MS. Jorja served on the Tennessee-Tombigbee Waterway Development Authority, where she served on the Executive Committee, Treasurer, Finance Committee and Chair of the Publicity Committee. She was a Past President of Pilot International, where she traveled extensively to promote the organization. She was named Outstanding MS Woman of the Year for 1988-1989. Services will be at 2:00 PM Friday, November 17, 2017 at Longview Baptist Church, with Rev. Clyde Pound and Rev. Drew Richardson officiating; burial will follow in the Longview Cemetery. Browning Funeral Home in Pontotoc is honored to serve the family. Survivors include her son, Terry Turnipseed of Syracuse, NY; two granddaughters, Lucy Turnipseed and Grace Turnipseed of Washington, DC; her special friends, Nancy Burt, of Pearl, MS and Molly Howard of Atlanta, GA; and her caregivers, Shelia Bryant, Margaret Bynum, Faye Mayes, Irma Satterwhite and Jennifer Pardee. Her parents preceded her in death, along with her husband, Dr. Larry Turnipseed. Pallbearers will be Andy Pound, Clyde Pound, Tommy Pound, Mitchell Pound, Barry Boyd, Maffett Pound, Ralph Pound and Jimmy Allen Sneed. Visitation will be from 6 to 8 PM Thursday and from 1 to 2 PM Friday at Longview Baptist Church, 451 Dozier Hill Road, Belden, MS 38826.